Dude shows up today with an Oil Derrick and Orca on his jersey. Bests our jerseys for the day, I was wearing a Bike Hugger one. 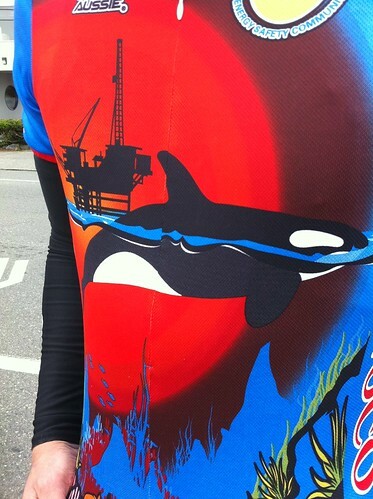 It was from an old MS 150 in SoCal where Orcas swim around oil wells.